Texas Health Resources Cardiac Department wanted a collateral piece to set THR hospitals apart from the other local hospitals. The "Giving Life Rhythm" piece spoke to the benefits of using a THR hospital, with imagery that conveyed a positive post-event feeling and the benefits of living a heart-healthy lifestyle. 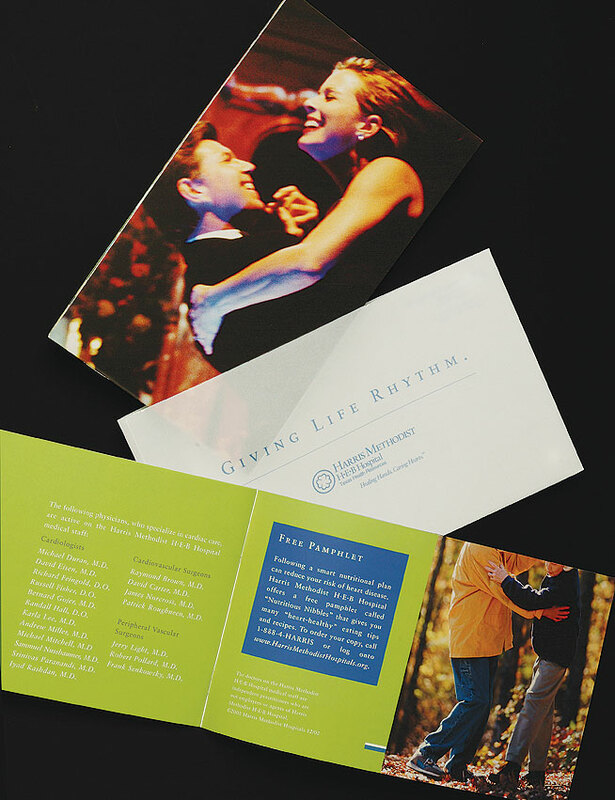 The "Giving Life Rhythm" headline and theme were continued into magazine, radio and television advetising.